Last month BRUUT! announced the release of its new album V with the release of Klets. On this single the band showcased a refreshed version of its Superjazz sound. 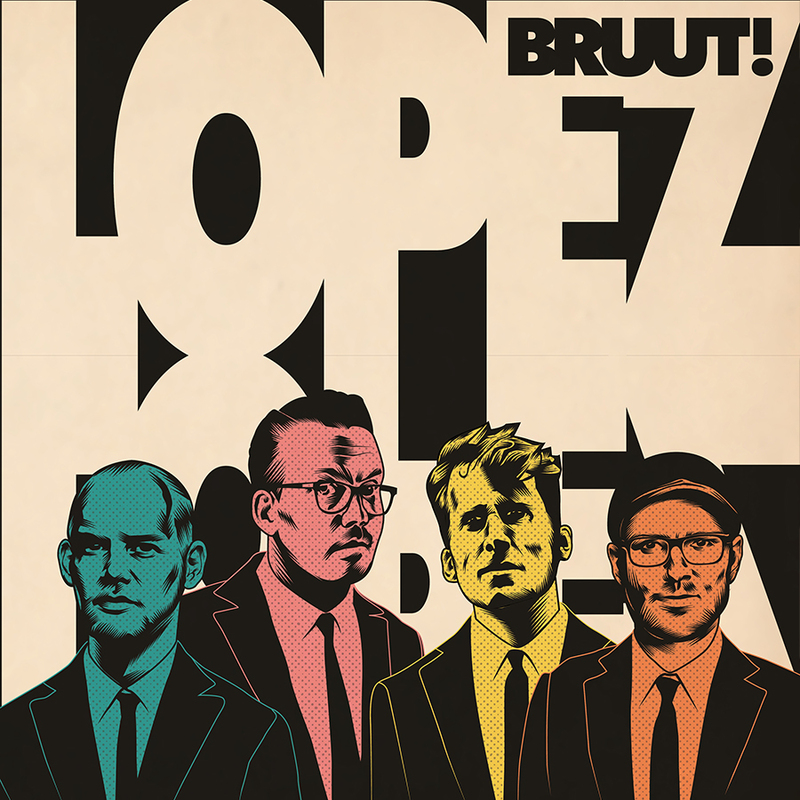 The new single Lopez, which was released today BRUUT! continues to show its reinvention for which they collaborated with producer Paul Willemsen (of Michelle David & The Gospel Sessions, Ruben Hein, Blackbird). New single Lopez is now available on all streaming- and download services. V will be released digitally and on vinyl and cd on November 30th via Dox Records. You can pre-order the album here. Also, make sure to check out the awesome video below! Pre-sale for the tour has started.